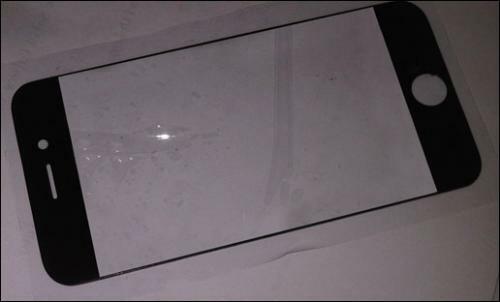 iPhone 5 Part Shows Larger Screen, Thinner Bezel? China's 1st iPhone 5 photo has surfaced! From this photo it seems that the screen size will be larger than iPhone 4. There has been a lot of specualtion about a larger screen and maybe this will be one of the upgrades we will see when iPhone 5 is released this summer. The screen could match up with claims that the iPhone 5 will have a larger 4 inch screen as well as a "edge to edge" screen which we mean to interpret as a smaller bezel (border). It's hard to tell for sure without a comparison with the current iPhone 4 next to it. iDealsChina was one of the sources of the early (2008) iPhone Nano rumors based on some early cases from accessory makers. They had previously posted moldings for the then-unreleased iPhone 3G cases which turned out to be accurate. The iPhone 5 is rumored to be launching this summer.